Samsung and several carriers and retailers in the US started exchanging potentially dangerous Galaxy Note 7 units earlier this week. The move followed the Korean phone maker’s decision to halt the Note 7 production after its battery fiasco went beyond Samsung’s control. But what about those who’ve purchased a second-hand or used Note 7? Well, worry no more, Samsung isn’t leaving you out in the cold. Even though it was only released last month, the flagship has been out long enough that it’s hard to rule out the possibility of second-hand Galaxy Note 7s floating around. So if you’ve bought a used Note 7, chances are that you can’t go back to the original owner and have your phone swapped for a replacement handset. Fortunately, there’s a straightforward way for you to return your device direct to Samsung. Any customer who bought a Note 7 [used] should contact us directly at 1-844-365-6197 to exchange their device. We are working as quickly as possible to make the service experience for our customers as quick and smooth as possible and we are grateful to our Note 7 customers for their patience during this time. The same policy that Samsung implemented during the recall process in September applies here. Also, you can swap out your second-hand Galaxy Note 7 for a Galaxy S7 or Galaxy S7 Edge even without an official receipt of sale or warranty. However, be sure to power down the handset before returning it to Samsung. 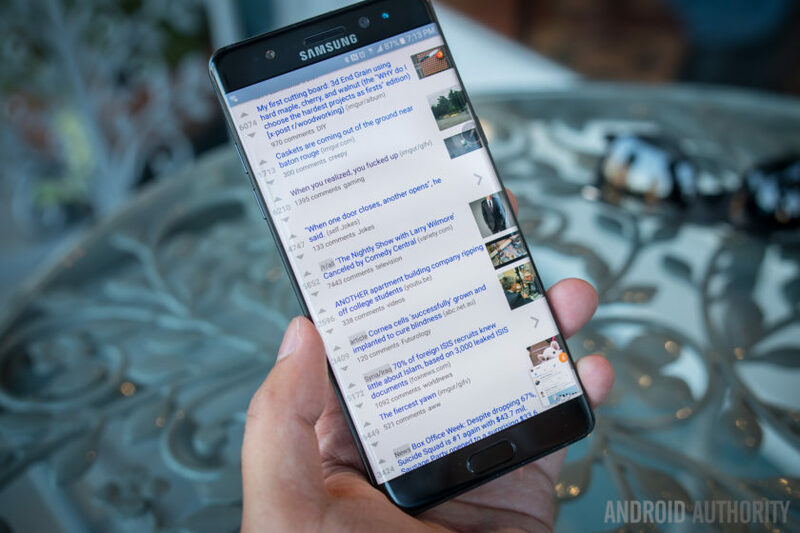 Have any of you purchased a second-hand Galaxy Note 7? If so, give Samsung a call now and get your replacement phone. If you’ve done this already, let us know in the comments how the process went.